It’s a good day for open government in the District of Columbia. Today, DC’s Office of the Chief Technology Officer (OCTO) has updated the Terms and Conditions for DC.gov and the city’s new open data platform, addressing some of the concerns that the Sunlight Foundation and Code for DC expressed about the new open data policy introduced in July. The updated terms and conditions rolling out onto the city’s digital civic architecture this afternoon. “Today’s changes are really focused on aligning DC.Gov’s Terms and Conditions of Use with the new open data and transparency policy released this summer,” explained Mike Rupert, the communications director for OCTO,” in an interview. “The site’s T&C hadn’t been updated in many years,” according to Rupert. The new T&C will apply to DC.gov, the open data platform and other city websites. “It is encouraging that DC is taking steps toward considering feedback and improving its Terms and Conditions, but there is still room for improvement in the broader scope of DC’s policies,”said Alisha Green, a policy associate with Sunlight Foundation’s local policy team. “We hope those implementing DC’s new open data policy will actively seek stakeholder input to improve upon what the policy requires. The strength of the policy will be in its implementation, and we hope DC will take every opportunity to make that process as open, collaborative and impactful as possible.” So, OCTO both heard and welcomed the feedback from open government advocates regarding the policy and agreed that the policy implications of the terms and conditions were problematic. Certain elements of the previous Terms and Conditions of Use (Indemnity, Limitation of Liability) could have chilled the understanding of the public’s right to access and have been eliminated,” said Rupert. Those were the sections that prompted civic hacker Josh Tauberer to wonder whether he needed a lawyer to hack in DC are simply gone, specifically that Indemnity and Liability Section. Other sections, however, still remain. The revised policy I obtained before the updated terms and conditions went online differs in a couple of ways from the one that just that went online. First, the Registration section remains, as does the Conduct section, although DC eliminated the 11 specific examples. That said, it’s better, and that’s a win. District officials remain cautious about how and where reuse might occur, they’re going to at least let the data flow without a deeply flawed policy prescription. “While we want to be mindful of and address the potential for harm to or misuse of District government information and data, the Terms and Conditions of Use should promote the new open data and transparency philosophy in a more positive manner,” said Rupert. Sharp-eyed readers of the new policy, however, will note that DC’s open data and online information has now been released to the public under a Creative Commons license, specifically Attribution 3.0 United States. That means that anyone who uses DC’s open data is welcome to “Share — copy and redistribute the material in any medium or format and Adapt — remix, transform, and build upon the material — for any purpose, even commercially,” as long as they provide “Attribution — You must give appropriate credit, provide a link to the license, and indicate if changes were made. You may do so in any reasonable manner, but not in any way that suggests the licensor endorses you or your use.” When asked about the CC license choice, Rupert said that “The new copyright language from Creative Commons – which as you is know is becoming the international standard – better states the overriding principle of the public’s right to web content and data. ” That did not sit entirely well with open government advocates who hold that making open data license free is a best practice. Asked for comment, Tauberer emailed the following statement in a response to the draft of the revision, welcoming the District’s responsiveness but questioning the premise of the District of Columbia having any “terms and conditions” for the public using open government data at all. The good news is that DC’s OCTO is listening and has committed to being responsive to future concerns about how it’s handling DC’s online presences and policies. “Several of your questions allude to the overall open data policy and we will definitely be reaching out to you and all other interested stakeholders as we begin implement various elements of that policy,” said Rupert. This post has been updated with comments from Tauberer and the Sunlight Foundation. Parents, students and other members of the public can now easily see the effect of a href=”http://www.washingtonpost.com/local/education/dc-releases-proposed-school-boundaries-and-far-reaching-student-assignment-policies/2014/04/05/368521e0-bc46-11e3-96ae-f2c36d2b1245_story.html”>new proposals for elementary school boundaries and far-reaching student assignment policies in the District of Columbia using a civic app called Our DC Schools. The new website, built by volunteers at from Code for DC, a local open government group, makes it easier for the public to understand how important changes to the boundaries of DC school districts would affect a given address, rate the assignment policies proposed by the DC government, and forward that feedback to the Deputy Mayor for Education. According to Code for DC, their team will published all responses collected, after the street addresses are excluded, on OpenDataDC, “a public catalog of civic data built by and for the people of Washington.” The group will continue to collect responses until mid-May 2014, sharing them with the Boundary Review Advisory Committee, the relevant government entity entrusted with working on the proposals. You can find more a bit more context about the app and the issues at WAMU.org. Our DC Schools builds upon the data behind the Washington Post’s interactive news app, which also enables people to perform a similar geographic search, and then goes one step further than the newspaper, giving people tools to rate proposed changes and send it on to local government. In personalizing and visualizing the school district changes, unpacking these proposals for assignment and connecting feedback concerned citizens affected by the proposals to policy makers at local government, these volunteers are demonstrating how open government data and the World Wide Web can inform residents and stimulate citizen engagement in matters of great public interest. Notably, the civic app came to life through a collaboration between Code for DC and the office of the district’s Deputy Mayor for Education (DME). It’s an effort to use modern technology to better engage the people of DC in their government. “The Our Schools DC app is an example of what can be achieved when government collaborates with citizens to find solutions to common problems. 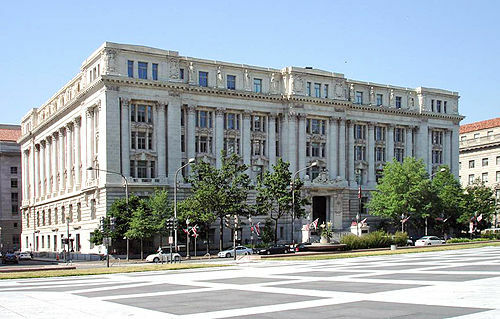 In addition to providing valuable information, it’s a means of public engagement that will help city leaders better meet the educational needs of communities throughout the district,” said Traci L. Hughes, Director of the District of Columbia Office of Open Government, in a statement.